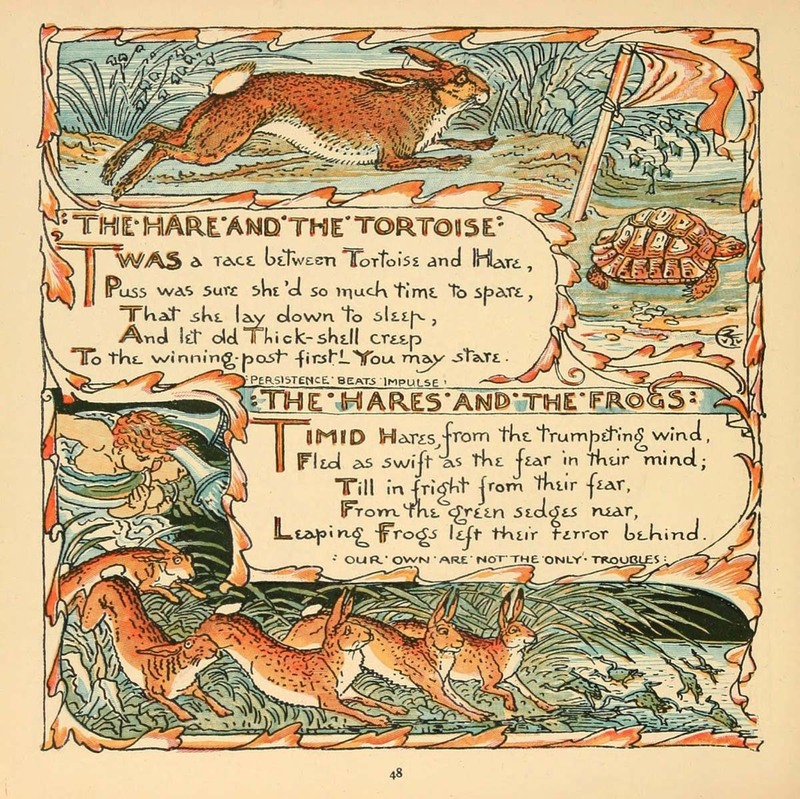 Walter Crane began an apprenticeship with wood engraver William James Linton as a draughtsman in 1859. This afforded him the chance to gain experience as an engraver, but also put him in a position to meet useful contacts in the printing business. After apprenticing with Linton, Crane met Edmund Evans, who was considered to be the best color woodblock printer of the time. Evans employed Crane as an illustrator of nursery rhymes and fairy tales. Crane began designing “Toy Books” for Routledge Publishing in 1863, which was an ideal opportunity for him to exercise his place of power to improve the content and design of children’s books. Crane was a staunch advocate for the power of images to educate and inform, and he believed strongly that illustrators had a responsibility to improve their means of shaping a child’s intelligence.